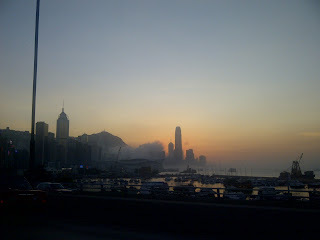 Back in Fulham after five great days in Hong Kong. My colleagues proved that it is possible to be incredibly nice, even if the city you live in continues to grow on top of you. 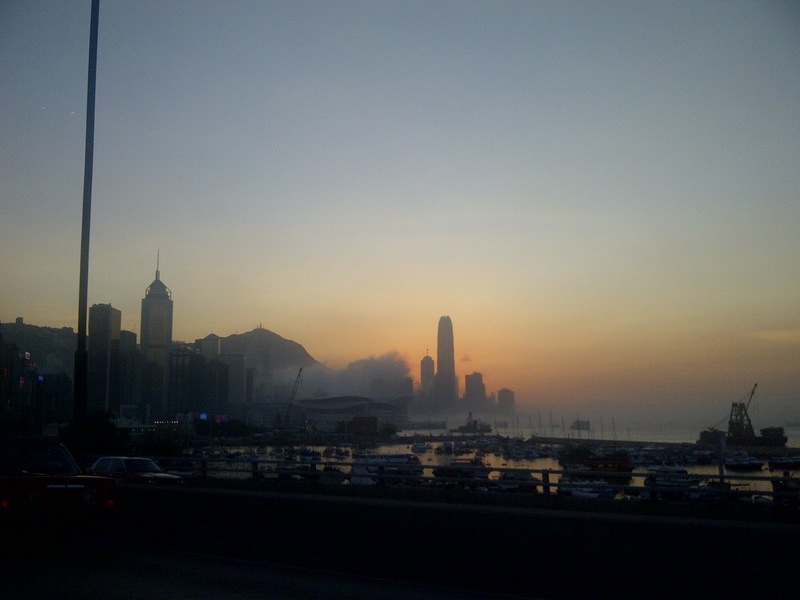 of Hong Kong’s massive sky line. Though I spent the vast majority of my time in an office building, I did get the chance to enjoy dim sum several times (and dim sum) and even had a go with Chinese pizza. Oh yea, how can I forget the grunts of an Chinese weight lifter in spandex? Good times before sunrise. My manuscript sat on the shelf, though I brought it and should at least give myself credit for that. It will take a different level of commitment to work through the remaining edits, but I trust my resolve and know that I will carve out the time and energy to get to it – just isn’t going to happen tonight since I am drunk with tired and excitement to see my leading lady. Meanwhile, I hope to work on a special post tomorrow in memory of my sister: it is hard to believe that it has been 364 days. It’s good to be back to eD, hope you all are well and ready for a new week of posts. Thanks for sticking with me while I took time to put on a suit and tie!